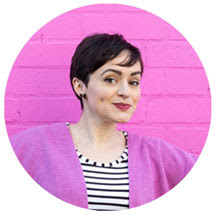 Tilly and the Buttons: Five Ways to Kick-Start Your Sewing Mojo! 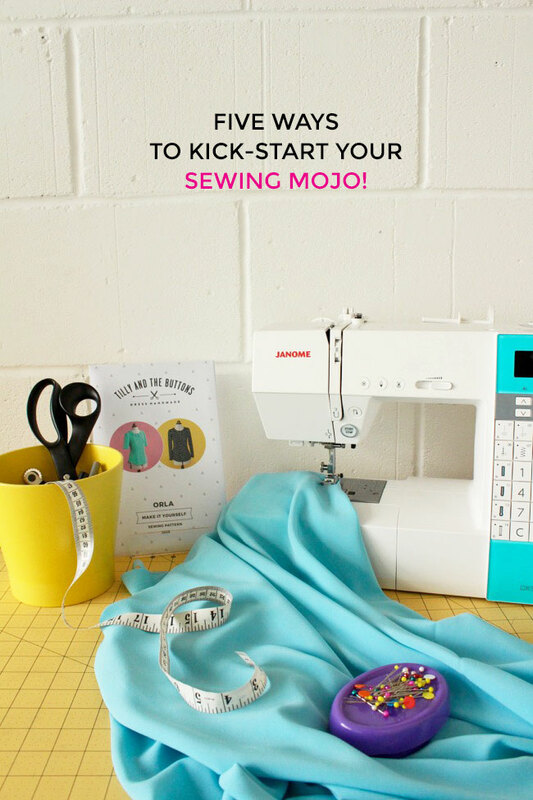 Five Ways to Kick-Start Your Sewing Mojo! It’s that time of year when we resolve to become a fresher, shinier, better version of ourselves! Or, perhaps more realistically, we set a goal or two – such as to get off the sofa and do some more sewing. 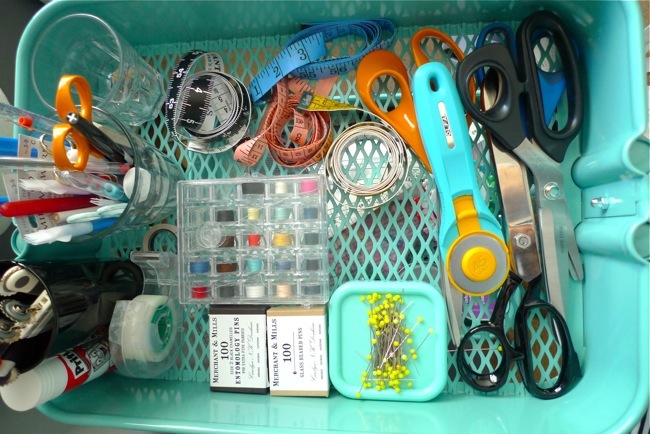 When my sewing table is cluttered and my supplies stash in a mess, I don’t feel particularly inspired to sit down and sew. If this sounds familiar, make some time to get organised. 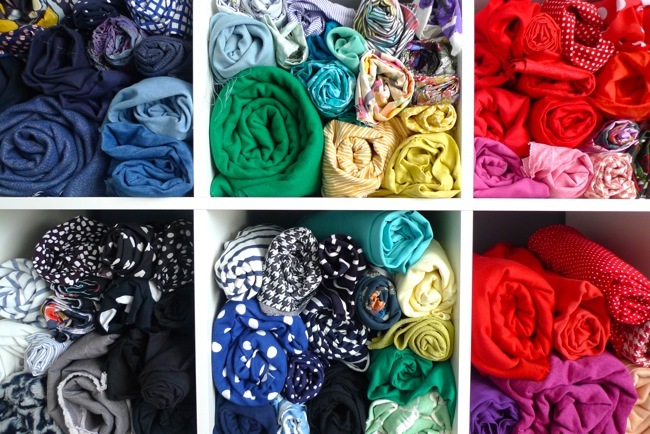 Sort through that fabric pile, recycle your scraps, clear out any random notions that you’re never going to use, invest in a thread rack, tidy your tools, and clear a nice space. Create the kind of clear and inspiring space that will have you itching to spend some time sewing. 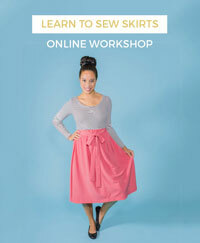 If you feel stuck in a sewing rut, perhaps you need to mix it up a bit and learn a new skill. 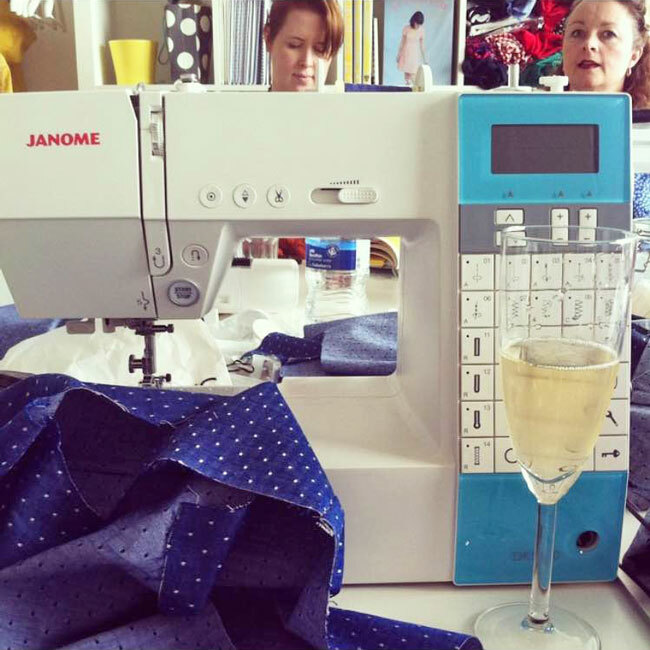 I’ve invested in two sewing courses this year, one on lingerie and one on couture sewing. Not only did they enhance my sewing knowledge with new techniques - and new approaches to old techniques - but watching other people sewing inspired me to spend more time sewing myself. Have a think about what you want to learn this year. 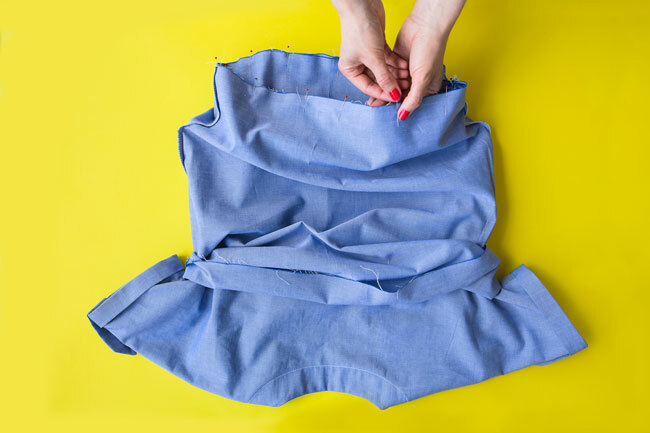 Perhaps you want to conquer your fear of buttonholes, try making your own swimsuit, or learn to sew with jersey (we have an online class for that!). Keep your mind active and engaged - and your sew-jo will thank you. On the other hand, if your sewing machine is gathering dust and the mere idea of threading it up seems like a massive chore, you might need to take baby steps to motivate yourself! There’s no point pressurising yourself to sew something epic if you don’t feel like it - start small with a quick and simple project instead. Maybe a tried and tested project that you’ve made before and know doesn't require much brain power, or a new-to-you pattern that’s easy to fit (especially if you can’t be bothered to make a toile) and fast to sew. When I’m feeling tired and in need of a sewing fix, I like to whip up a new Agnes top or Bettine dress - projects I know I can practically sew together with my eyes closed! If you just don’t know what to sew, start slowly by gathering some sartorial inspiration. Magazines, films, blogs, and, of course, Pinterest are all great places to find dressmaking inspiration. When I need a sewing boost, I look over the images I’ve previously pinned to my Pinterest boards (that’s what they’re there for, after all). 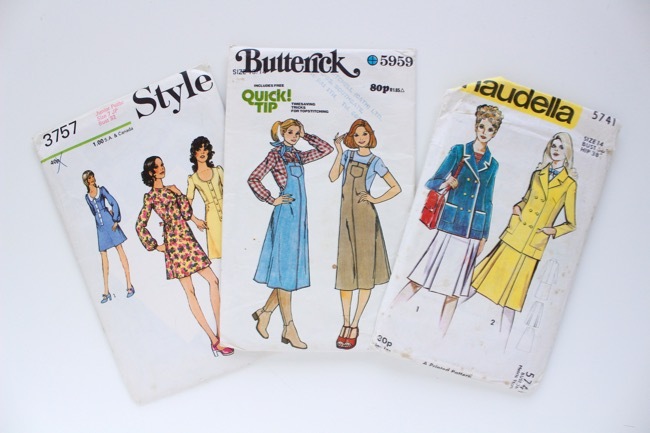 I also like to have a good rummage through my stash of vintage sewing patterns. Even if I don’t sew with them, just looking at the cover images somehow always manages to get me in the mood to cut out some fabric! 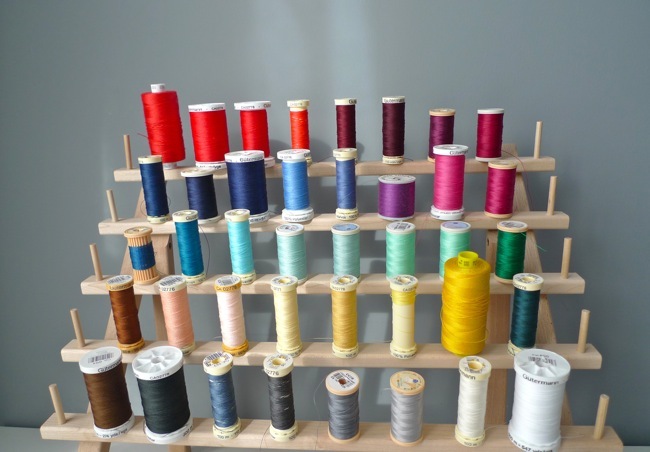 What are your favourite sources of sewing inspiration? I love spending time on my own at my sewing table, with just a podcast to keep me company. But sometimes it’s fun to sew with other people so you can have a giggle while you're doing it. A group sewing session can also be a great motivator - you can feed off other people's energy, feel the drive of a common purpose, and even help each other out with sewing questions and fitting tweaks when you need to. Inviting a sewing buddy round for a sewing session can give you just the energy boost you need to keep sewing - and to keep sewing fun! How are you planning to boost your sewing mojo this year? Do share! Sewing Space Tours... Lisa's Yurt!